Can food literally change your life? Many of us have moved, more or less willingly, to a new city or even a new country, only to find that what we discover is not only a new place, but a new purpose. Today I am meeting someone who made such a journey; from New York, to Basel. Venessa Gatelein is a woman with a striking story who found a new life and passion here in Switzerland and chose to stay because she found a new purpose and in so doing, a new self. Venessa moved to Switzerland because of her work. She’s got 10 years of experience in marketing and communications, but after moving over here she found love, married and had a child. This part of the story is well known among many of us, however, the question is what happened after. They say that “everything happens for a reason”, and maybe they (whoever “they” are) are right. When Venessa was 19 years old her dad passed away. She felt incredibly confused, sad and overwhelmed which made her start using food to cope. That coping mechanism stuck with her for years. However, after many ups and downs she eventually found amazing health and a life that she loved to live. Ironically, after so many years of constant anxiety about what to eat, at the age of 43 she started experiencing digestive issues and food intolerances. “I felt like I was eating the right things, I was going to the gym 3-4 times a week… yet my weight was always a bit on the higher side and my digestion was painfully slow, slow, slow. I am okay with my curvy hourglass shape, but I was tired of being so robust and never really knowing why I would gain or lose weight from week to week. This made me sign up to the health coaching program at the Institute for Integrative Nutrition in New York. I didn’t do it to change careers at that time. I did it, because I just wanted to know the truth. What really works and what doesn’t”. Let’s find out what Venessa is teaching women about food, and this time it´s from someone who has walked the walk. Tsitaliya: In what way can food change our lives? Venessa: Food can heal us physically, emotionally and spiritually. Food brings us together and creates community. Food reminds us that we are human. Food let’s us know that everything is energy. Tsitaliya: In your experience what relationship women have with food? How is our relationship with food formed? Venessa: Our relationship with food is influenced a lot by how we grew up and the attitudes of our families and friends towards food and nourishment. Beyond that, even as we reach adulthood, it seems as if we are constantly being judged by what we eat and that everyone is watching/controlling/criticizing our choices. This is INCREDIBLY stressful. Tsitaliya: What about cravings, how can we explain cravings? Are they a signal for what our body needs? What about junk food cravings, where do they come from? Venessa: Cravings are amazing. If we take the judgment out of it… and stop thinking that we are bad people for having cravings… we can really use cravings as a little messenger from our body, letting us know that something isn’t exactly right for us. 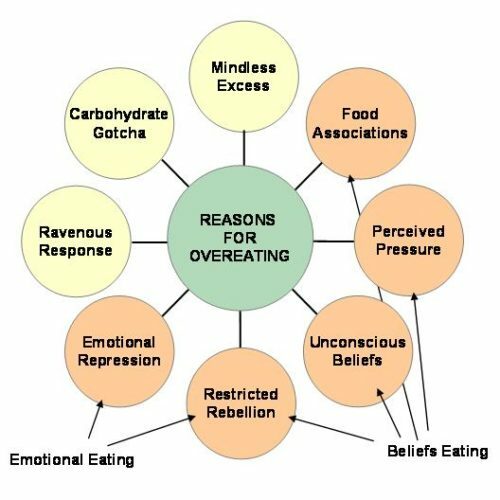 Tsitaliya: What are the most common triggers for cravings? Venessa: There are many physical and emotional triggers. Here’s just 4 of them. H.A.L.T. = Hungry… Angry… Lonely… and Tired. Tsitaliya: Is it possible to control cravings and how? Venessa: Yes. This is about preventing getting a craving in the first place. Number two is to actually make yourself the priority and do those things that make you feel amazing. The point is… If you give your body what it needs to feel safe, loved, and nourished, then you won’t have any cravings. Then there’s nothing to control. Tsitaliya: How can we recognize the difference between emotional and physical hunger? Venessa: The best way is to rebuild the connection with your body. So often, we override our body’s physical messages so much that it stops speaking to us. To get back in touch with your body and soul, I recommend a food journal to track your food, drink and bodily sensations — both emotionally and physically. Keeping track helps you to connect the dots on food AND mood. 7:00 Breakfast: protein bar 10 Tired Didn’t sleep well, I could sleep 4 more hours. 10:00 Snack. Coffee 0 Tired Still tired… and stressed about money as the end of the month is approaching. Craving chocolate and coffee, but manage to avoid eating the cookies in the cabinet. 14:00 Lunch: Zucchini noodles, mushrooms and ham 10++ “Hangry” Really hangry… worked straight through lunch and now feel crazy. I don’t want to stop to eat, because I’m on a roll, but I eat anyway and eat too much. Feel bloated after. 14:30 Binge 4 cookies 0 Stressed Feeling overwhelmed with what I have to do before the kids get home. I’m actually really craving a hug and feel like crying. I feel even more bloated. Tsitaliya: Can you give us several tips on stopping emotional eating? Venessa: Once you know your body better and what the feelings are that are coming up for you… start looking for ways to keep yourself balanced to prevent the emotional eating from starting. Name the feeling/emotion… then reconnect with your body. What do I REALLY want right now? Stop what you are trying to do and realize that something about it, isn’t working. Stay curious… what is this trying to tell me? The most important tip is to realize that many people have this problem. We just don’t talk about it. We are not the only ones. So speak up and get support. Tsitaliya: What is your best advice for women who feel they need to change their relationship with food. Where do they start? Vanessa: Start with curiosity. Then take away any judgment…. There are perfectly good reasons why we eat this way. Just because we cope with food, doesn’t mean that we are bad, crazy, out of control or undisciplined. It is actually the opposite. It’s probably that we care so much about others and our work that we let ourselves get out of balance. And finally be nice to ourselves and get support. For further information and private coaching packages please visit Venessa Gatelein’s Food Changes Everything.